Take any subject, and you’ll see that there are people who this, and people who that, this being the set that has no thats. So it is with cameras (the sensor against the lens) and so it is with, well, CD players. Why CD players? Aren’t they just digital players, and whatever debate there may be going on, it is bound to be held in the digital domain? Well, CD players aren’t just digital players with sample rates, bit widths, clocking and what have you. They’re just as much analogue players than digital, and while the sensor people claim the importance of the digital section, the lens people swear on the analogue part. The analogy is not perfect. Nevertheless, Ayon Audio’s founder and head designer Gerhard Hirt is known to belong to the second group, the lens group. 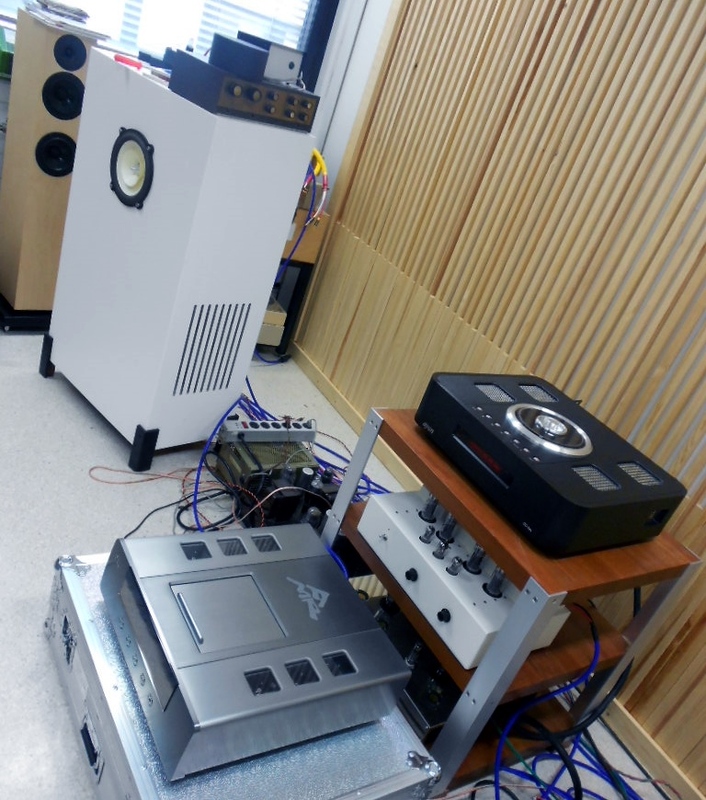 According to him, it’s the analogue section, the power supply in particular, that matters in CD players, and to a large extent determines how the sound will be. Not ones and zeros. Or not just ones and zeros. 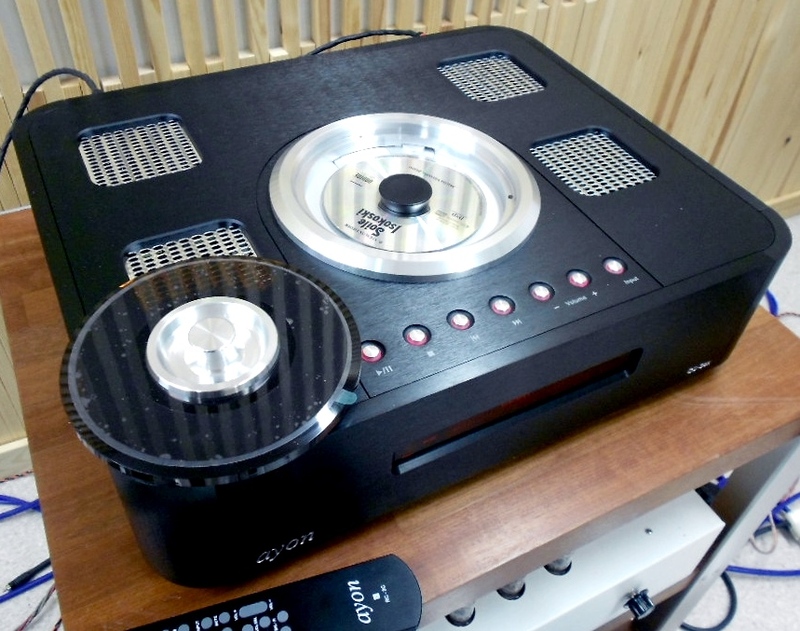 Ayon Audio has certainly put a lot of effort to consummate their CD players’ analogue section, but it doesn’t follow that they’d have ignored the digital department. In fact, the x of the model name Ayon CD3sx stands for an entirely new dac with eight 32bit/192kHz DA chips, four per channel. High res. poses no problems for this CD player. The player features a good number of digital inputs: s/pdif, I2S, Toslink and aes/ebu. Usb accepts 24/192 & dsd 64x; and for the dsd the rear panel offers three BNC connections; dsd-L, dsd-R and wck. Ethernet and WiFi are to be found from there too. The digital s/pdif out enables comparing an external dac to that of the CD3sx. The external dac can be connected to the CD3sx’s own preamp section and then simply switch between inputs with the remote. Handy! For those with sharp ears the player allows a possibility to upsample the data to the 24/192 level before the actual DA conversion, or make the phase/polarity change 180 degrees, or to choose from the two digital filters, one steeper and ”more analytical”, the other less steep and ”smoother”. 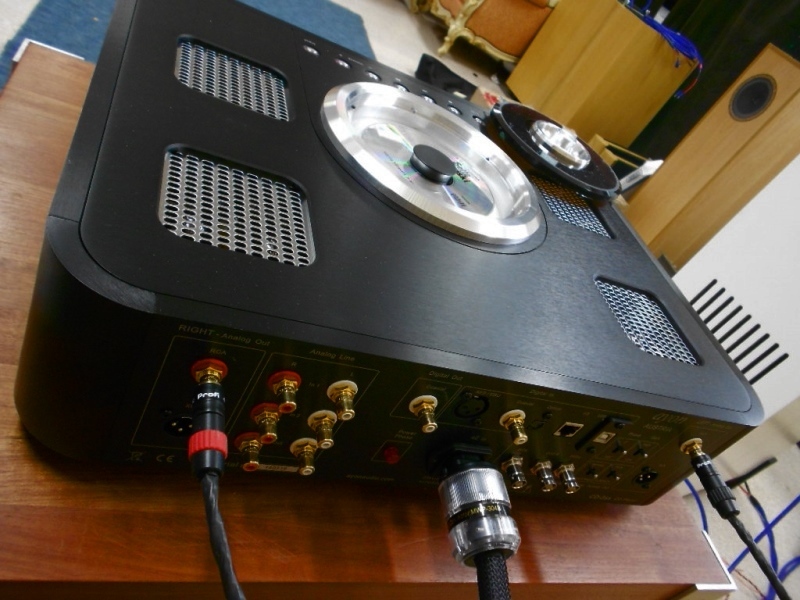 Nothing removes the fact that the essence – the secret, if you want – of Ayon CD3sx lies in its analogue stage where the task of signal amplification, impedance matching and even rectification have been allotted to vacuum tubes. I don’t know if Ayon ever considered building a CD player with a solid state output stage, but that it decided to trust tubes hardly comes as a surprise to anybody. The output signal is amplified by two 6H30 double triodes. The 6H30 is a Russian ”super tube” that thanks to its linearity has replaced ECC82 in many designs. The 6H30’s amping factor is 15, anode /plate resistance 200 Ω, and transconductance 72 mA/V. Apart from Ayon Audio the tube is made use of by such manufacturers as Audio Research, Consonance, Conrad Johnson, Mod Wright, Cary, Tenor and some others. According to Ayon the output stage is puristic, meaning a minimum number of components on ultra-short signal paths. No NFB, no other compensating elements, no filters. Tube regulation was chosen because of adverse effects of diodes. 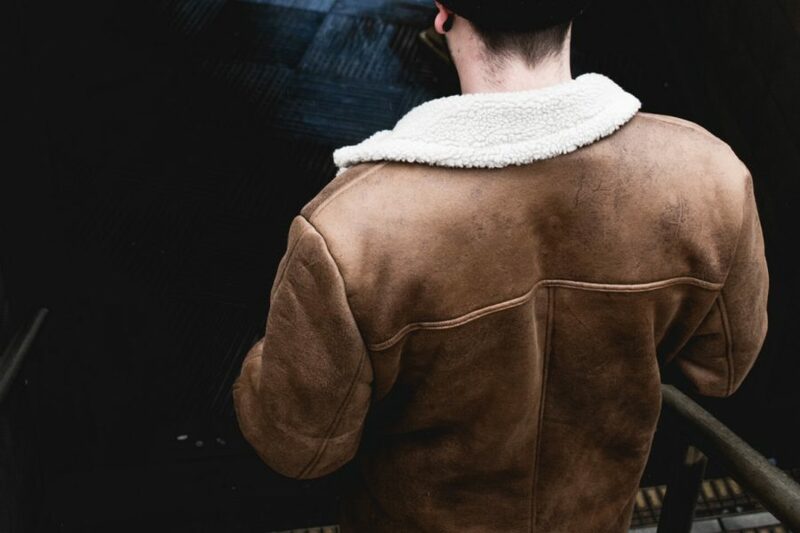 Volume setting, although digitally controlled, takes place in the analogue domain. Volume can be bypassed altogether. Because personally polarity is to me an issue with certain individual recordings rather than whole CD players, I ended up keeping polarity zero throughout my listenings (a small lamp on the rear panel indicates polarity of the AC). 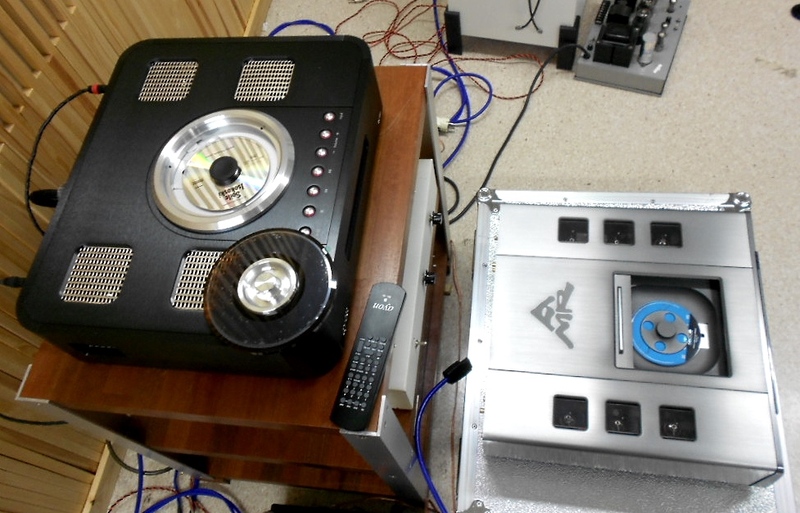 The speakers were quality widebanders, driven by 20W PP tube amp with EL34 power tubes Corfacs as cables. With this setup I set the gain to +6dB; I always prefer higher gain whenever feasible. I also didn’t upsample (isn’t it better if the CD player manages without it?) but in the CD3sx case I wouldn’t exclude the adjustment; comparing is easy and can reveal real effects. Of the two filters I went for the smoother option trusting my heart because reasonably taken the differences were quite small. As a mere CD player CD 3sx sounded superbly clean and distortion-free. If there are CD players, with which the surface of the sound seems somehow grainy, whatever that is, Ayon CD3sx had none of it. Part of the purity is that the CD3sx more carefully than on the average unfolded the recordings, and imposed fine details in the spotlight. Difficult to reproduce high frequency sounds, with which some CD players tend to have similar problems as some of the tweeters do, didn’t grate and came out without aggression. The player does not hide modesty of modest recordings, but nor makes them unlistenable either. Particularly charming and captivating in the sound of the CD3sx was its lightness and immateriality. Sound sources were floating in the sound stage as a feather in the wind. The sound possesses exactly the sort of immateriality that dematerialized (ie. digitized) music deserves. However, CD players can sound immaterial in more than one way. I noticed this when I compared the CD3sx to another reference level tube CD player AMR CD77. In this comparison, CD3sx gave the impression that the space between the speakers was as empty as it can get. The AMR CD77 instead kind of filled the empty space with small particles, which helped to sense the empty space, and bound the instruments in the same event. Both interpretations have their own merits. Ayon’s way is addictive in audiophilic terms, AMR is a bit more merciful. Is Ayon CD3sx one of those high-end CD players that draw a long horizontal line in the back of the sound stage? The answer is No, and thanks for the closer-to-life presentation of music fall surely on tubes. While the AMR filled the space between the speakers with a round ball-like image, equally high, wide and deep, the CD3sx extended the image horizontally but was narrower in the vertical direction but also more wedge-shaped in the depth direction. Of the two players the CD3sx gave more accurate info on the direction of the sound, the CD77 was breathing openly but from a slightly more vague direction. CD3sx isn’t just a CD player/dac. It also features a two line input preamp with four 6H30’s. The tubes are routed to the signal path with a switch on the rear panel. Thanks to its preamp, the CD player can directly drive a power amp, which I know is a very important feature for many hobbyists. 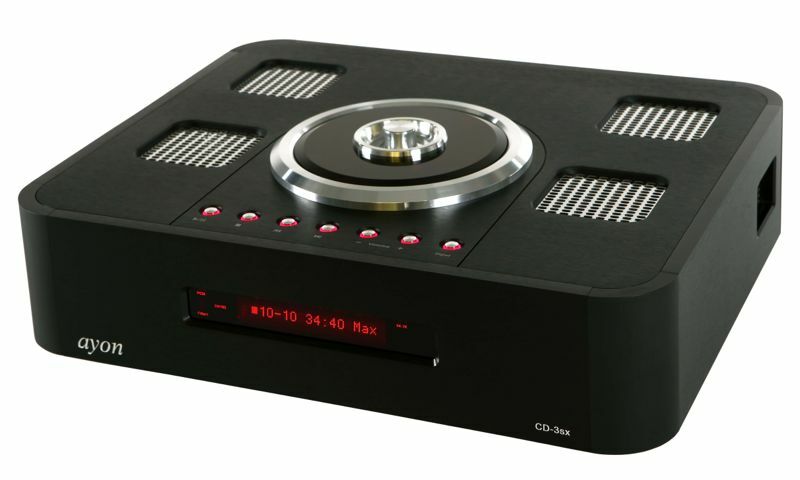 As a mere CD player, CD3sx’s bass performance (to the extent such can be talked in the connection of CD players) was well controlled and well defined. CD77 produced quantitatively more bass, but was a little less unconditional about definition, or a little more relaxed with the stringency requirements. The situation was offset by the inclusion of a CD3sx’s tubed preamp section. Now CD 3sx to turned out to be the same type of bass-baritone as AMR CD77. In direct out mode, both through a passive preamp and directly connected to the power amp, CD3sx kicked out more and more powerful bass than without the preamplifier on. At the same time the sound seemed to gain a dollop of extra warmth and grow a notch or two in height. The preamp did not reduce the sound’s transparency though. However, when the CD3sx was returned back to the state of a simple CD player, the sound became clearer and lighter perhaps due to the small drop in the bass. So which way to go? To preamp or not to preamp? In the end of the day I was inclined to draw the conclusion that for those who look for a reference level CD player the “normal” setting without the player’s preamp, is a better option. But it must be stressed that the situation may be entirely different with other peripheral devices, eg. with certain type of transistor power amps. Otherwise, Ayon CD3sx’s grip of the music was unvarnished and quick, exhibiting strong motion, without rhythmic idealism, without slowness or dragging. All in all, the CD3sx proved how incredibly good sound one can get from a compact disc, much better than one could imagine on the basis of publicity of high-res. And now to the point. No one who’s seriously considering buying a 8000 euro CD player is not so one- or two-dimensional that would let only the sound or techniques be decisive when making the purchase decision, no one. Those are only a small portion of the whole. An example. Strictly speaking a slot on the front panel would be enough for inserting a compact disc into the CD player. And yet Ayon CD3sx has a top loading transport mechanism with not one but two clamps! First a smaller magnetic one and on top of that a heavier one made of acryl. Only when both clamps are set in, the engine will start and the player will read the data from the disc. Unless one has an ”eye” (not just the ear) for these sort of qualities, it may better to look for something else. Ayon CD3sx is an impressive looking and brilliantly finished CD player that evokes all kinds of images in a man’s mind, ie. it’s highend Hi-Fi in the very sense of the word. And it’s simply not true that before even thinking of buying a CD player that would be on the level of the CD3sx, one would have to have for justification at least 7000 CD’s. No, 300 or 400 is fine, if the owner is a true music lover and the discs represent dearest imaginable music on the earth. To have a machine that makes those CD’s sound as good as it can get, makes perfect sense!